Reverberating out of the darkness but still lurking behind the shadows, the Pitch Black EP is the debut solo release from talented Austrian producer Phentix. He’s no stranger to the Cyberfunk family, having made quite the impression with his previous outing on the label, Hoax, he returns with an arsenal of fresh to unleash via Xtrah’s ever growing imprint – now onto its third release. Opening with the title track, Pitch Black moves with an unrelenting twisting bassline fully reminiscent of bygone era Virus. Clean sounding yet with tons of grit, Pitch Black is a merely the opening salvo of fire to come on this EP. Vicious sees Phentix team up with Italian producer Disprove. Adopting a less is more mentality, Vicious is stripped back breakbeat heaviness; the crisp drums do the talking on sparse but funky bass stabs. With one collaboration already under their belts, Signal returns the favour on the minimal yet rolling Informer. Shuffling along at a frenetic pace, Informer rattles along as fast as it’s busy hi-hats will let it while atmospheric pads and bass interplay making for moody, cinematic cut. Afterlife is a lesson in unbridled simplicity in terms of sound but no less deadly for it – it’s drum and bass in it rawest form with no frills and a structure DJ’s will love. 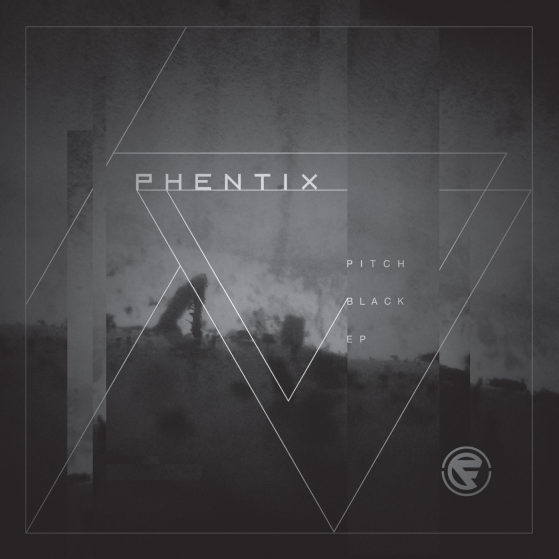 Cyberfunk is steadily building an impressive catalogue of material and releases like Phentix’s Pitch Black EP show that the label and it’s small but close knit bunch of acts are definitely heading in the right direction.